Say, have you ever eaten something so delicious that you feel angels in heaven are dancing in your mouth? That it’s purely paradise?! I feel like that right now. 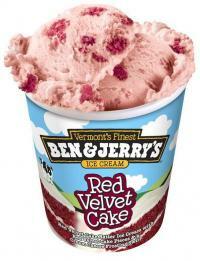 Ben & Jerry’s just came out with a new ice cream flavor, Red Velvet Cake. It is amazing. Go ahead and try it if you live in the United States 🙂 I eat a red velvet cake for my birthday every single year. That’s how in love with it I am. I realize that this is a bit off-topic for my blog, but I digress. 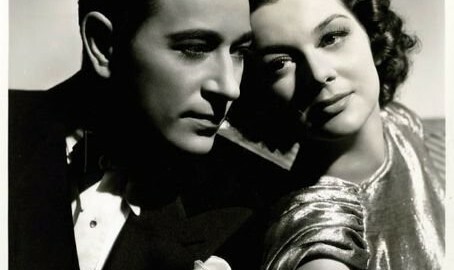 I don’t know how you feel about your favorite actor/actress (I am not going to assume it is Rosalind Russell just because you follow my blog! ), but I absolutely delight in the fact that Roz has actually visited (no matter how accidental) the town in which I live. I’ll forever remember the story I read in a newspaper archive from 1935, I believe. She was on her way to Agua Caliente, which is right near the border of California and Mexico. However, she was driving herself down there from Los Angeles and she had a bit of car trouble. I distinctly remember her being quoted as stopping in “a little village called Vista” as she was running out of gas. She coasted her car down a big hill until she reached a small gas station. The gas station clerk asked her for the money to pay to fill up her car with gasoline. Another problem though—Roz did not have any money with her. So what did she do? She told the clerk who she was (no, that doesn’t always get you 100% out of things) and gave the clerk her fur stole as a “down payment” for the gas. I imagine since she gave a down payment (collateral?!) for her gas, she gave the money later? Or did she let the clerk keep her fur stole as a souvenir of meeting Rosalind Russell? Haha. I laugh to myself every time I think of the “little village” of Vista that she ended up in. I have not been living in Vista very long (although I did live here and go to school here when I was very young), but I love this town and the fact that Roz, my idol, got lost here is so funny. No matter if she is acting on the screen or not, Roz never fails to amuse me. By the way, Vista is no little village anymore! 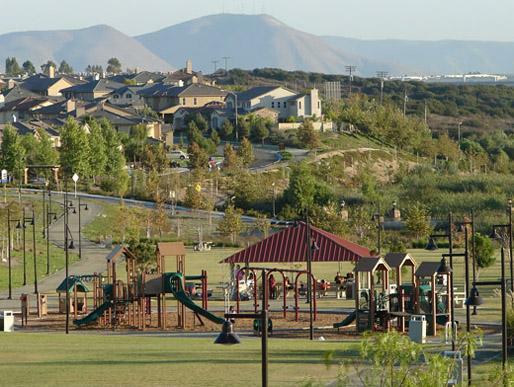 Practically any town in the county of San Diego in southern California would not be considered a village because there are too many people here (and too many people who want to live here). But I can’t help but think of this little anecdote when I pass a heavily trafficked street in Vista called Vista Village Drive. I think… Was Roz in this area? Where was that little gas station? Trivial things, but fun. If you have any stories like this (because I’m sure we all idolize someone famous…), please tell me! And share with all of us… I’d love to hear it. I’ll go back to the paradise that is in this carton of ice cream now… It was nice to write something to all of you… Thank you to Renata for inspiring me again… I just may try writing a film review and see how that goes! P.S. I should share some more stories about Roz’s mishaps with automobiles, haha. I’m sorry if it’s too small. Let me know if there are any words you can’t read. The Story Behind "One Hundred Easy Ways"
“Right now I want to tell you about how one of the Bernstein-Comden-Green songs in the show, One Hundred Easy Ways to Lose a Man, came to be written. When Wonderful Town was in its tryout period on the road, before the Broadway opening, I suggested the trio write me a number about the fact that I couldn’t get a man. ‘It will help the audience understand the character I am trying to interpret,’ I said. A few days later they were back with One Hundred Easy Ways to Lose a Man. I knew it was show-stopper after hearing the first few lines.